Day 1. 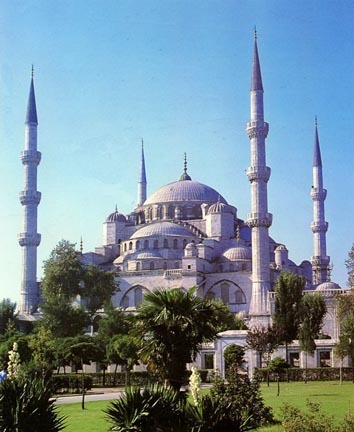 Depart New York from JFK International Airport on an evening flight to Istanbul. Dinner and breakfast on flight. Day 2. 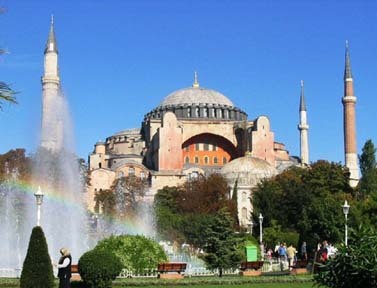 Arrive Istanbul in morning, meet your guide and transfer to your hotel. Free time to relax before starting your tour of the Old City in the afternoon; visit St Sophia – the Church of Divine Wisdom and the impressive Blue Mosque. Dinner at your hotel. Day 3. Enjoy a full day of sightseeing in Istanbul. Start with the Church of St Savior in Chora, built in the 11th Century AD. The interior walls are decorated with breathtaking scenes depicting the life of Virgin Mary, the genealogy of Christ, the infancy of Christ and Christ’s ministry. Next see two monuments from the Byzantine legacy; first the Hippodrome, one of the largest chariot racing grounds of the Roman Empire and then descend beneath the streets into the Underground Cistern. 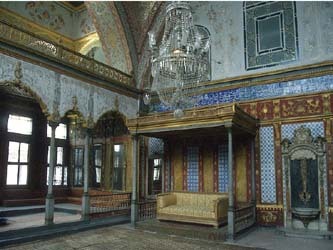 Continue to the magnificent Topkapi Palace, the imperial residence of the Sultan, his court and harem, and the seat of government for the Ottoman Empire. In the Treasury section, you will see breathtaking displays; including the Topkapi Dagger and the seventh largest diamond in the world, the “Spoonmaker’s Diamond”. Lastly venture into the famous Grand Bazaar, the largest and oldest covered bazaar in Turkey and home to the most oriental atmosphere in Istanbul. Breakfast and dinner included. Day 4. Depart Istanbul in the morning and drive through the rolling hills of Thrace. Explore the Kilitbahar Fortress before crossing The Dardanelles by ferry boat to arrive in Cannakale. In the afternoon visit Troy, the famous city of Homer’s Iliad. Your guide will make Troy come alive with stories and legends that from the nine ancient cities that were built here. Dinner and breakfast included. Day 5. Visit the site of great importance to Christianity, Alexandrias Troas. 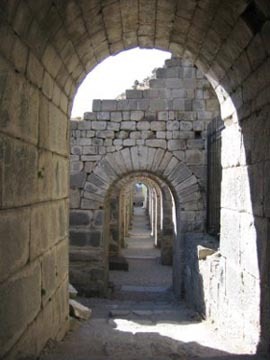 It was here that Paul dreamt of a Macedonian calling him across the waters to Philippi, he subsequently altered the course of his missionary journey and this is recorded as the beginning of the spread of Christianity into Europe. 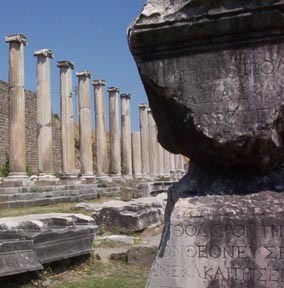 Further south we explore Pergamum (Rev. 2:12-17), here you will visit the Acropolis, Library, Temple of Trajan, Asclepion (ancient healing centre) and the Red Court. Continue to Thyatira (Rev. 2:18-29) another of the seven churches addressed by John and Paul visited Thyatira on his third missionary journey. Overnight in Izmir, breakfast and dinner included. Day 6. In Izmir you will visit the Church of St Policarp, the oldest church in ancient Smyrna (Rev 2:8-11). In Sardes (Rev. 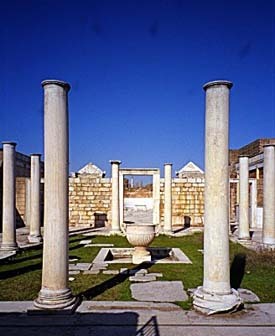 3:1-6) we find a temple dedicated to Artemis, a reconstructed gymnasium and the largest synagogue discovered in Asia Minor. Our travels take us to Philadelphia (Rev. 3:8), referred to as the ‘New Jerusalem’ in Revelations, here we can see the remains of the ancient Cathedral. In the afternoon you visit Laodicea (Rev. 3:14-22) and Colossae. 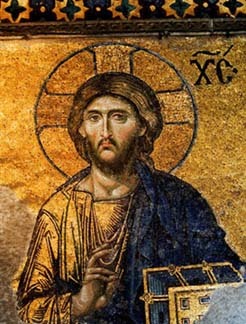 The Letter to the Colossians, attributed to Paul, was addressed to Colossae in 60AD. Overnight in a thermal hotel, dinner and breakfast included. Day 7. This morning visit Pamukkale a famous natural wonder; stunning white terraces have formed over centuries by streams of hot mineral water flowing down the hillside. 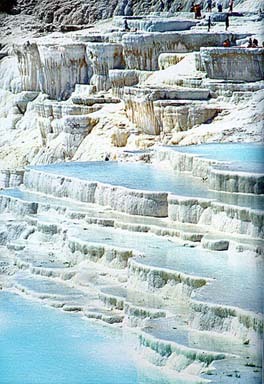 Visit Hierapolis, a cure center founded in 190BC, see the acropolis, an intact theater and the Matyrium of St Phillip. We drive to Kusadasi and visit the House of the Virgin Mary and St John’s Basilica in the afternoon. Dinner and breakfast included. Day 8. Your last day is devoted to Ephesus (Rev. 1:11, 2:1-7 Acts 18:19-28, 19:1-41 and Ephesians 19:24-40). Paul lived, taught and preached in Ephesus for two years and Ephesus was the first church addressed in Revelations. Your in-depth tour includes; the Tomb of St Luke, Hadrian’s Temple, Celsus Library, Great Theater, Marble Road and St Mary’s Church. You will drive to the picturesque village of Sirince for lunch. 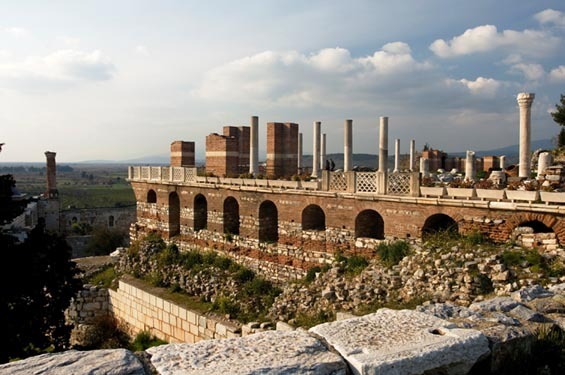 In the afternoon visit the Ephesus Museum and the Temple of Diana, one of the Seven Wonders of the Ancient World. Dinner and breakfast included. Day 9. Fly from Izmir to Istanbul and connect with your homebound flights. Breakfast included.